Previous Belly Dance for Beginners on Thursdays Is Offering New Pricing! Next Dances to a Different Drum is tomorrow, June 24! I hear this all the time. Usually along with a variety of reasons why it never happened. I also hear all the time: “I’m so glad I started this class!”. Are you someone who has always wanted to learn to Belly Dance too? Have you watched others move to the music and wanted to join them? Have you lost touch with your body and how it can be healthy in movement? 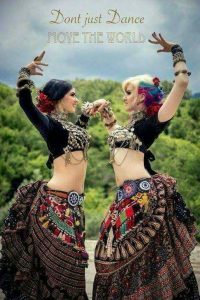 Belly Dance talks to someone inside your soul and brings life back to inner parts of you that you have forgotten. Lets find that beautiful person together. Join us for Beginner Belly Dance on Thursdays @ 6pm or Saturdays @ 12pm to begin your dance journey.